For a more indepth comparison between NDS and other genetic services, read Genetic Health Reports available on Amazon. What does a NDS report look like? Each NDS report is individualized to reflect your unique genetics. It is divided into four parts. Section I: Genetics 101: Basic information on genetics that helps you understand your report. Section II: Nature. What you were born with. Graphic overview of your unique gene variation (AKA SNPs or "Mutations"). With an explanation of what the genes do and the diseases associated with them. Section III: Nurturing. Nurturing treatments that help you "work around" you genetic variations. These include nutrition, supplements, detoxification, and lifestyle activities. Section IV: Focused Action Plan: Which genetic variations are most-likely to cause health problems and the specific actions you should consider for optimizing your health. Your DNA sequencing provides a unique tool for maximizing your health. While your DNA is primarily set at birth by what you inherit from your parents, you do have control over how your DNA expresses itself. In studies of identical twins, for instance, they often have very different levels of health depending on where and how they lived. Exposure to environmental toxins and food choices may turn on and off genes associated with enhancing or degrading health. The age-old paradigm is still true: we are the results of nature (DNA) and nurture (how we live). The discovery and ability to read DNA did not change this; but it did allow us a better understanding of how to nurture our nature. Section II: Your Nature. What you were born with. These categories are explained in the report. Your unique gene variations are listed with an explanation of what each gene normally does and what might happen if it becomes a problem. Nurturing treatments that will help you "work around" your genetic variations. These three therapies, Detoxification, Nutrition, and Activity are the D.N.A. that supports your DNA genetics. For instance, one area we'll look at is Methylation. 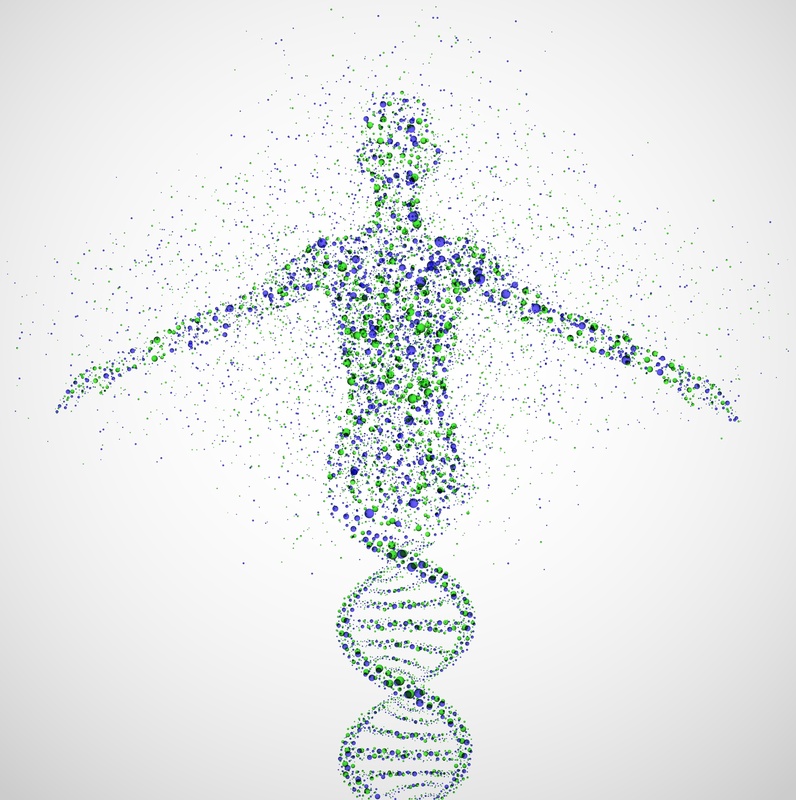 Methylation is a simple process with wide-ranging effects in the body. By adding what are called methyl groups to a gene or compound, its behavior is changed. This is how genes are turned on and off. Methylation is also one way of removing toxic metals. As you can see from the size of this category, there are many genes that code for enzymes that effect methylation health. Your test shows a number of hetero- and homozygous SNPs in methylation. This may or may not have a negative influence on your body depending on how much stress you’re subjected to, your intake of co-factors through diet, and your exposure to toxins. Section III continues, discussing all your gene categories and the variations that may be effecting your health. This section focuses on the gene variations most likely to cause you health problems. This is based on the number and severity of gene variations. For instance if you had no gene variations in the Mitochondria functional area, then it is less likely you'll have problems there (although, as explained, not impossible). On the other hand, if you have several severe gene variations in Mitochondria and have had health problems associated with mitochondrial dysfunction (fatigue, fibromyalgia, etc), then this would be a focus area. * Note that the suggestions in this section should not be considered as diagnostic or prescriptions. Genetics is just one aspect for assessing your health. Health history, physical exam, and other laboratory tests are vital for making a comprehensive whole-person assessment. As explained in the NDS report, genes are not a diagnosis, but an inherent tendency. You have several genes that increase your risk of high blood homocysteine. Homocysteine is an independent risk factor for heart disease. Consult with your practitioner about monitoring homocysteine levels. Note you have several genes listed that increase your risk of ammonia toxicity. Ammonia is produced by gut bacteria and eliminated by healthy liver function. Consult with your healthcare provider about testing and treating if ammonia levels are high. If liver function is compromised, support liver function. See below for specific recommendations. DAO: You have gene variations of your DAO gene which produces DiAmine Oxidase, the enzyme that breaks down histamine. This mutation may increase problems with NSAIDS and histamine-rich foods. If you are having allergy-like food reactions to histamine-rich foods, consider avoiding these foods (see list below). You may also want to consult with your healthcare provider on supplementing DAO, the enzyme that breaks down histamine in the gut. See below for a list of histamine foods. The scientific research used in interpreting DNA results is constantly being updated. Thousands of researchers are working on discovering the connections between genes and disease. Likewise, NDS reports are continually being updated. Ready to Nurture your Nature? NDS is the only company offering comprehensive DNA analysis with genetic interpretation that gives you tools for unlocking your genetic potential. 23andme is the largest, most respected provider of home genetic testing. purchase and send your data to NDS for a medical interpretation report. Genetic testing and DNA analysis has never been easier and more affordable. Make medical genetics, genomics, nurtragenomics, methylation, and the world of genetic medicine integral to rebuilding your health. This page shows examples of how the report will read. Note the complexity and overlapping influences of different genes - a good reason to have all of them tested. Your genes contain a wealth of information that influences your health for better or worse.